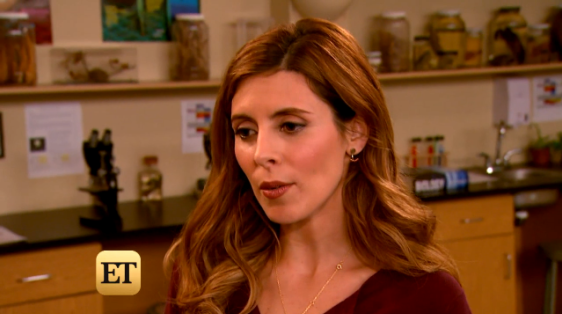 Jamie-Lynn Sigler is getting back to work, despite her battle with multiple sclerosis. After revealing that she's been living with MS for the past 15 years, the 34-year-old actress is guest starring on Freeform comedy Baby Daddy. ET caught up with Sigler on show's set, whose stars welcomed her with open arms. "It's been overwhelming in a good way," Sigler said, when asked about the response. "Everything that I feared about coming out about it has not happened. The complete opposite happened. I've been working consistently since, which is crazy." Sigler says that she is "here and ready when the cameras are rolling," because she knows how to pace herself in order to last an entire work day. "It's sort of like a gas tank," she said. "You have your amount of energy for the day, and you just sort of allocate and use it where you're going to need it." igler kept the diagnosis a secret out of fear that she would be looked at as unemployable, but what made her get over that fear was her 2-year-old son, Beau. "He's coming towards an age where he'll be aware," Sigler said. "We'll have to have a conversation, and I don't want him to think that I had to hold anything back." Beau is Sigler's son with husband, MLB star Cutter Dykstra, whom she married on Jan. 16. "I actually called him my baby daddy, but now he's my husband," Sigler said. "We're four years into our relationship, so we didn't necessarily think it would be any different, but it is. It's fun to say husband and wife. We're a unit. We're a team. We always have been, but now it's just even more official and real." Baby Daddy airs Wednesdays at 8:30 p.m. ET/PT on Freeform.